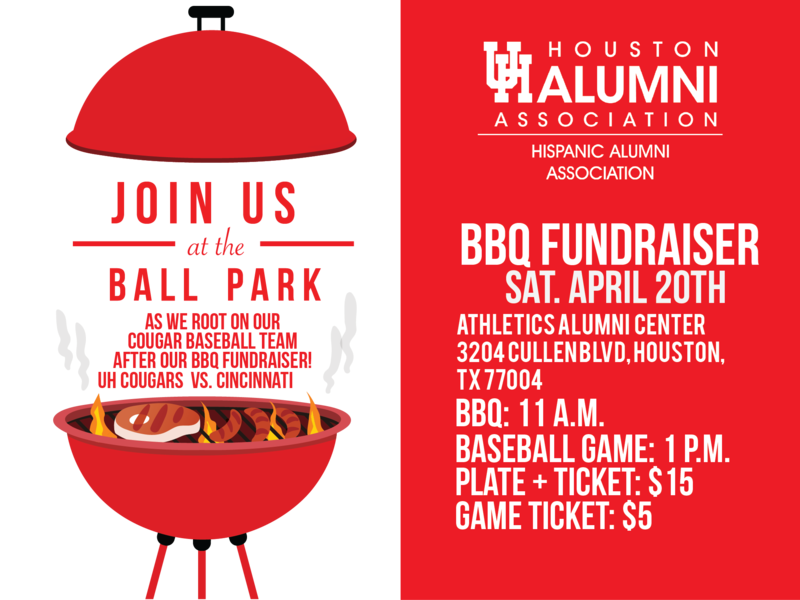 Join the University of Houston Hispanic Alumni Association as we support our UH Cougar Baseball team who is taking on Cincinnati on April 20th. The fun begins at our BBQ fundraiser in which proceeds will benefit our scholarship fund. The BBQ begins at 11am in front of the UH Athletic-Alumni Center, followed by first pitch at 1pm.